Moving is never an easy, stress-free experience, which is why we got into the business we did — to help people. One of the hardest parts about moving, though, is figuring out what objects or items you’ll need to move that call assistance from a professional moving team. Luckily, in today’s blog post, we’ll go over five heavy objects that we often get called for when homeowners in Denver hire us for their moving needs. Whether you’re looking to get professional help for only a few heavy items or you want us to tackle your entire move for you, we offer top-notch residential, commercial and specialty moving services in Denver at Abe Lincoln Movers and Storage. Ranging from piano and heavy object moving services to in-house moving services, we can make sure the process is as easy and hassle-free as possible for you. Contact us today to get your Speedy Fast™ Quote. Continue reading below for five (of many) heavy objects that likely call for professional help when you decide to move. Whether you have an upright piano or grand piano, we have the necessary skills to ensure your beautiful instrument arrives at your new abode safely and in one piece. Unless you have experience moving pianos, we highly recommend that you leave moving this large, heavy object to the pros. 2. Large Pieces Of Furniture. Large pieces of furniture, like a couch or a king-sized bed, can oftentimes be heavy and require the help of a professional moving team. Dense pieces of wood furniture and furniture made with heavy stones, such as marble or stone, should also be left to the pros. We can help you move large safes and gun safes to ensure you have a place to store your valuables at your new destination. Have a hot tub? We have experience moving those, too. Pool tables are expensive, and you can ensure yours doesn’t ensue any moving damages by trusting our professional Denver movers. Other examples of heavy objects that might call for the help of a professional mover include bathroom vanities, large pieces of gym equipment, large mirrors, aquariums and more. Have any questions about your specific item that you don’t see on this list? Give our team a call today. If you’re looking for an experienced team of professional movers to help you with your next specialty move, choose our team at Abe Lincoln Movers and Storage. We’ll make sure all of your heavy, valuable items arrive at your new destination safely and securely, and we’ll do all the packing, loading and unloading parts of the move. On top of our specialty moving services, we also offer residential and commercial moving services, making our moving company your go-to source whenever you have a move in the works. 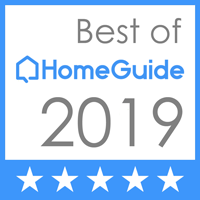 Our goal is to make your move as easy and efficient as possible, which is why we’ve won the Super Service Award from Angie’s List in 2015 and 2017. Contact us today to get a moving estimate or to schedule your next move by calling us at (720) 893-1180 or by completing our online form.